Thanksgiving has always been a family holiday revolving around tradition. Families gather to prepare a grand feast to share together. The excitement leading up to Thanksgiving and the work put in seem to be over in a matter of minutes as stuffed aunts, uncles and cousins go wobbling from the table as stuffed as the turkey once was. Now what? The meal isn't the only tradition on Thanksgiving Day. Families have routines and rituals ranging from playing board games together to rooting on their favorite football teams. Even animal lovers get to watch the best in show be chosen all while spending time together as a family, brought together by a meal. Black Friday planning has become a part of the post-Thanksgiving-meal tradition. Family members gather around a dining table filled with ads all making lists and planning shopping routes to maximize ground covered and bargains claimed. Kids may be encouraged to write out Christmas lists, and some of those items may be incorporated into the shopping scavenger hunt. When did Black Friday first start and when's Black Friday this year? Before this article goes any further into some fun facts and myths about the day, take time to mark your calendar with the 2018 shopping date. Thanksgiving is Thursday, November 22, 2018; thus, Black Friday is Friday, November 23, 2018. Where Did Black Friday Get Its Start? What Kind of Deals Can You Usually Get on Black Friday? Black Friday has become a holiday of its own right. No, it isn't a federal holiday like Thanksgiving; however, because it does follow Thanksgiving Day on the calendar, a large majority of people have off from work and kids always have off from school. It gives most people a four-day holiday weekend. One group of employees always works on Black Friday: retailers. Black Friday has become known as the official start of the holiday shopping season. With Christmas falling at least four weeks after Thanksgiving, it kicks off the busy and sometimes frantic frenzy of activities that occur between the two major holidays. Many people think of Black Friday as the start of the Christmas holiday season in general. Christmas trees go up, parties get planned and people, old and young, start preparing for the giving season. To give, people have to shop. 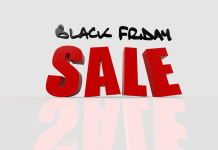 The term "Black Friday" first became used in the major city of Philadelphia back in the 1950s. During that time, retailers were overwhelmed as were cops at the number of people descending on the city the day after Thanksgiving. The cause for the population swell was two-fold. One, the Army-Navy football game was being played that day, and two, the stores were advertising special savings and sales. 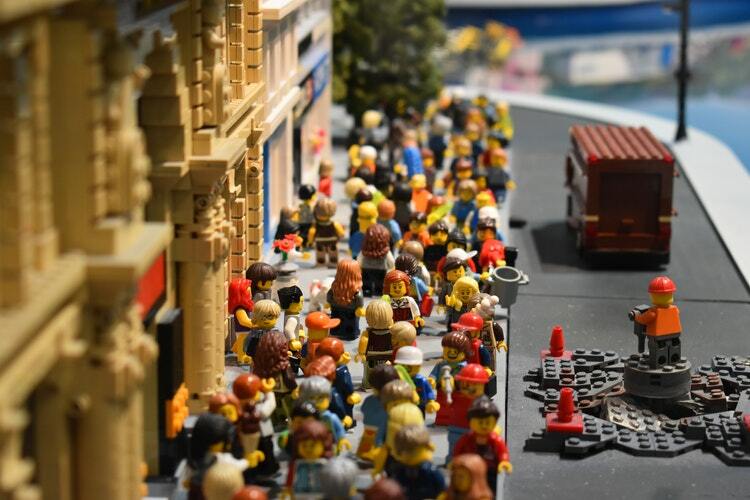 Police officers were so overwhelmed with crowd control, and store owners felt completely flooded, that they referred to the day as "Black Friday." Through the years, even without the Army-Navy game, the population of the city rose on Friday with visitors coming in from the suburbs to partake in the once-a-year savings frenzy advertised by retailers. Storeowners and employees started referring to the day as Black Friday but didn't want consumers to feel like it meant something bad. Therefore, they never advertised the day as such, because they didn't want people to stop coming. The term started catching on and spreading, so much so that in 1961, there was a push to brand the day as "Black Friday." The leaders of the movement were successful, and thus, the new unofficial, official holiday was born. Myth: Black Friday is the day retailers finally turn a profit. There are some myths to the Black Friday holiday that are just not true. The oldest myth is that it got its name because this was the time of year retailers finally turned a profit, or "got into the black." Since most companies start their fiscal year at the start of the calendar year, this would imply that they had been unprofitable for 10 months out of the year. This correlation doesn't make sense. When planning for the day, you may be sidelined from finding the best deals by some common misconceptions. Don't get caught up in these myths; you may wind up spending more money if you do. Myth: Coupons are not allowed on Black Friday. Probably the biggest misconception about this grand shopping day is stores don't accept regular manufacturer's coupons that you may commonly clip from the Sunday newspaper or even download and print from various coupon sites. You may see some good deals on items you also have a coupon for, and figure you can't use both, so you leave the house without it. Manufacturer's coupons are always accepted by stores that commonly sell the product, even on Black Friday. If you go to a store you usually frequent, bring your coupons. You can combine them with store-offered discounts and rebates. You can score some of your best prices on stock-up items such as soaps, shampoos, laundry detergent and the like on Black Friday if you bring along your coupons. Clip away! For many years, claiming the best deals meant waiting in line for hours and maybe even camping for a day or two. If anyone reading this was around during the Cabbage Patch Kid frenzy, you know precisely how that used to be. There was a time when a certain number of items were available in ridiculously low quantities to drive people to the stores earlier. However, with the rise in online shopping and some people skipping the long lines, doorbusters can now be claimed, in many instances, online before you even leave your house. Granted, this may take some of the fun out of the day for some people, it helps alleviate stress for others. If you have multiple items on your list, you don't want to have to choose between standing in line for one and missing the others. At the same time, that one might be a fantastic deal. The rise of pre-ordering doorbusters has removed some of the stress surrounding the day. Myth: No price matching allowed on Black Friday. Along with the no coupons myth comes the "no ad match" myth. It may be possible that there was a time when retailers didn't price match, maybe back in the Cabbage Patch Kid days. However, a shift in online retail sales means retailers are vying to get every dollar from you at all costs. Ad matching is a great way to get you into the store to purchase more than one item. You might bypass a store that won't price match in favor of one that does. While you’re at the store that offers price matching, you may purchase an additional $100 worth of products. It's a win-win for the retailer and the consumer. 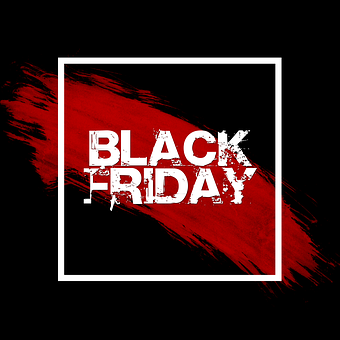 With all that being said, there are restrictions in place concerning ad matching at any time of the year, let alone Black Friday sales. Many times, the item advertised in the ad will be the only one a competing store will price match. 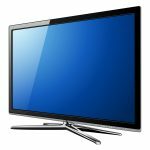 For instance, if there are two versions of a TV, a 36-inch and a 55-inch, and only the 36-inch is pictured in an ad, that is the only one most stores will price match. While it may give the sale price of the 55-inch, it is not the one pictured. Be wary of this fact, and save yourself time and aggravation by making ad matching part of your pre-planning. Myth: Black Friday is rooted in the Great Depression. Another myth is that Black Friday began during the Great Depression and marked the day that the most suicides happened. This statement is totally outlandish and categorically false. In the 1890s, the stock market did have a "Black Friday," whereby the price of gold dropped to a very low rate causing panic. However, it eventually recovered and did not crash again until the Great Depression in the 1920s. 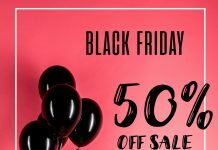 Like everything, Black Friday sales change every year; however, there are categories of products that are the most likely to be deeply discounted for this event. Smartphones – It's no coincidence Apple and Samsung release their newest version of the iPhone and Galaxy brands right before November. Retailers love offering deals on smartphones, either offering "buy one get one free" or "buy one get something." That something can range from earbuds (which can be expensive) to gift cards to come back and shop another time. TVs – One of the staples of Black Friday ads in the past decade have been TV sales. The latest and greatest and usually biggest versions are on sale at deeply discounted prices. It isn't unusual for lines to wrap around Best Buy to score an outrageously large and technologically advanced TV at a deep discount. Gaming Consoles – Much like cell phones, it isn't a surprise that brands like Nintendo, Xbox and PlayStation introduce new gaming consoles in the fall, right before Thanksgiving. In fact, until recently, some of these manufacturers were angering customers by failing to have enough of a new console available for Black Friday. Laptops and Tablets – Laptops and tablets of all shapes and sizes have become permanent fixtures in the Black Friday ad section of the newspaper. Discounts and incentives range from hundreds of dollars off to gift cards with purchase. Fitness Trackers/Headphones/Etc. – There are so many products that fall under electronics and technology these days. Fitness trackers and smartwatches have seen a surge in the last few years and are often at their cheapest on Black Friday. Headphones and earbuds have also become a standard offering at this time. Note that quantities in store may be limited on any item you are seeking, especially electronics. Some stores will honor sale prices up to 30 days after the sale ends. What is Black Friday shopping without trying to grab the best deals on toys for the kiddos in your life? Now that you're armed with their wish list, you can start helping Santa out by nabbing some of the best savings on the "it" toys of the season. Understanding, too, that kids also want electronics (video games and tablets alike), it may be an all-around winning situation to counter the screen time with the play time. You can find some of the best deals on Lego play sets, Barbie, American Girl and Disney toys. Outdoor toys such as playhouses, bikes and scooters (electric and manual) are also typically available at a much lower rate. There has been a growing shift in consumers to online shopping, making Cyber Monday a popular newer shopping event. Black Friday retailers have also made some significant changes to capture the consumers both in store and online. Traditionally, Black Friday started at 5:00 a.m. Friday morning, giving the Thanksgiving holiday and travelers time to get where they needed before their big shop 'til you drop event. In recent years, retailers have begun opening on Thursday and offering pre-Black Friday events. Some even offer Wednesday sales, extending the Black Friday holiday from one day to three. Consumers may have expressed dismay at Thanksgiving holiday openings in the beginning, but sales indicate otherwise. The days leading up to Black Friday are some of the most profitable for stores including Thursday. 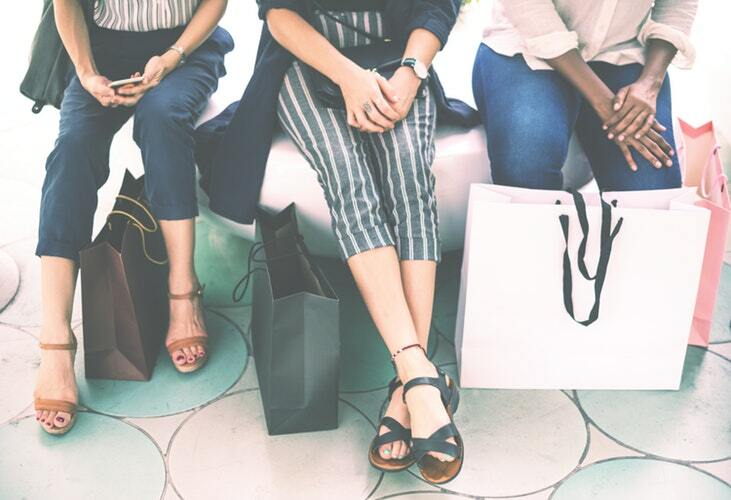 While it is unfortunate employees have to work on a family holiday, when it comes to the cutthroat and ultra-competitive world of retail, being open on Thursday means significant returns. If you think about your tradition on Thanksgiving Day, could you spend a couple of hours shopping after eating? If the deals on Thursday were different than the ones on Friday but allowed you less hassle and stress, would you venture out both days? Retail sales reports say you would because you do. 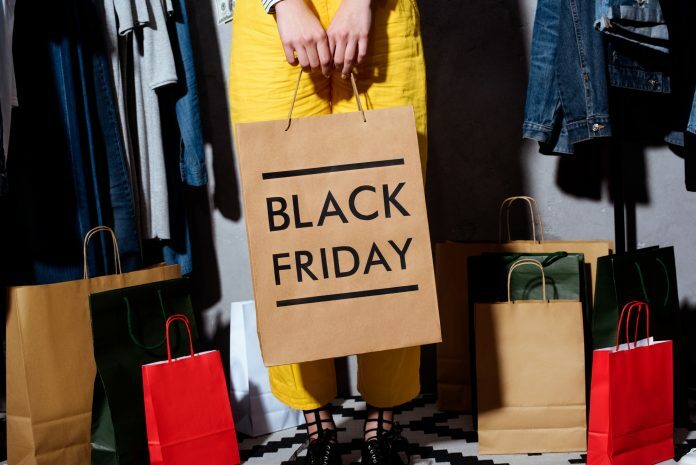 The holiday is within sight, and the question you and your family need to start asking is when's Black Friday, and when are we going to start planning our one or two or three days of shopping? This article at least gave you one of those answers.